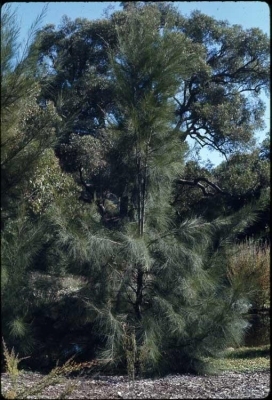 Casuarina tenuissima Siebold ex Spreng. The tree is often planted for its role in soil stabilization and reclamation; as an effective shelterbelt and also for its value as timber and fuel. It is also often grown as an ornamental. Australia - New South Wales, Northern Territory, Victoria.